Established in 1981 and serving west Michigan, Abode Building Center is family owned and proud to offer a wide range of quality products. Abode Building Center is a specialty home center that focuses on a select group of products to ensure quality and service on everything sold. This approach has helped Abode gain the trust of the discriminating builder and remodeling contractors along with the serious do it your selfer. We have expert Michigan design specialists and provide professional installation services as well. 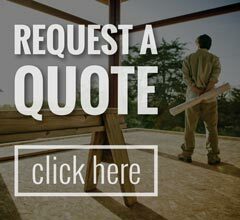 We offer several convenient services for your home which include new construction windows, small window projects, entry doors and garage door systems. Abode has an experienced sales team with over 75 years of combined experience! We offer free design services for kitchens and free in-house quotes for all product offerings! If you feel that your home would benefit from any of our services, feel free to contact us at our Portage office at (269) 329-1800. We are always happy to be of service to our West Michigan clients. We provide our services to people in Portage, Kalamazoo, Battle Creek, Plainwell, Allegan, Paw Paw, Vicksburg, Shelbyville, Ostego, Three Rivers and all surrounding areas.